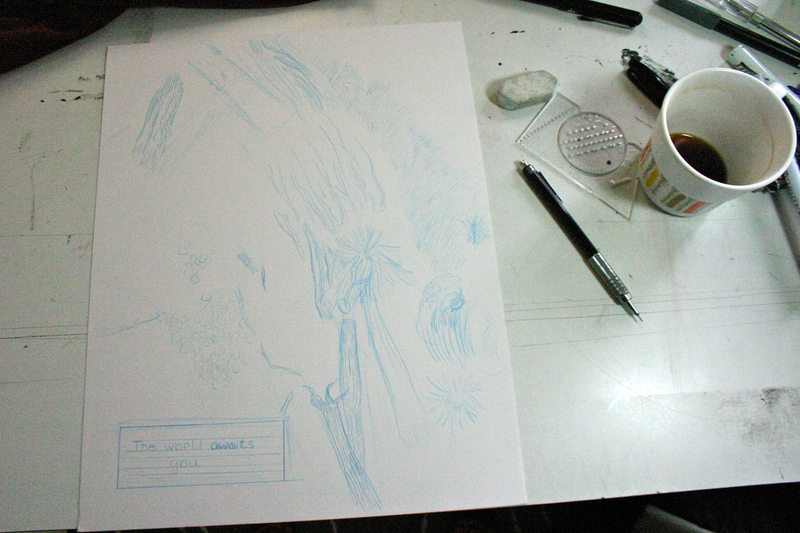 Image from the drawing table, 3-18-13: The world awaits you. A page from Jade vol. 2. in progress.